Act now to protect yourself and your loved ones from an unexpected loss of income. 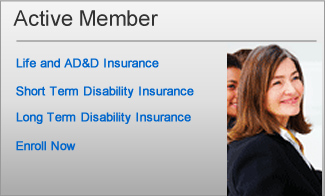 Learn more about Disability Insurance from The Standard. Help protect what is priceless to you with group Voluntary Life insurance from The Standard. 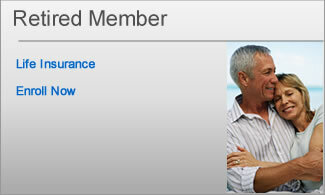 Since 2003, the State of Nevada Public Employees' Benefits Program (PEBP) has offered its eligible participants the opportunity to apply for group Voluntary Life with Accidental Death and Dismemberment (AD&D) and Voluntary Short Term Disability (STD) insurance through Standard Insurance Company at group rates. As a leading provider of employee benefits products and services, The Standard has the expertise and experience required to be there for you when you need us most. © 2013 StanCorp Financial Group, Inc. The Standard is a marketing name for StanCorp Financial Group, Inc. and subsidiaries. Insurance products are offered by The Standard of Portland, Oregon, in all states except New York, where insurance products are offered by The Standard Life Insurance Company of New York of White Plains, New York. Product features and availability vary by state and company, and are solely the responsibility of each subsidiary.